The unit returned to service and was running cooler than at any other recent time: 170°F with an 85°F ambient temperature. A critical compressor in a plant began tripping off due to high-temperature operation. An inspection showed heavily fouling, causing the compressor to run hot. 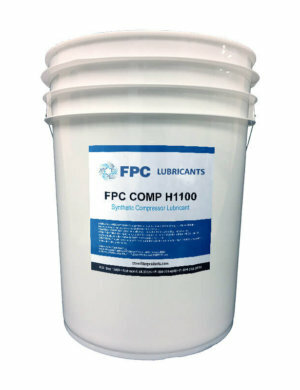 After analyzing the problem, a service tech added an FPC anti-fouling cleaning solution to the oil. After a short operating period, the compressor was back on line, the oil cooler was unclogged and running efficiently, and operating temperatures were even better than they had been before the problem occurred. A plant had an issue with a 100-HP rotary screw compressor, which had been using an OEM PAO-based oil. Temperatures in the compressor were running at 215°F to 225°F, and the over-heating was leading to high-temperature shut downs. An inspection revealed that the compressor was heavily fouled. There was also a widely varying temperature gradient across the compressor oil cooler, indicating that some sections (about 14 tubes) were completely plugged. The compressor needed to get back on line as soon as possible to avoid a plant shutdown. A Filter Products Company solvent was added to the existing oil in the compressor in a 10% concentration. It was a cleaning fluid designed to dissolve varnish, solubilize sludge, and assist in system flushes. 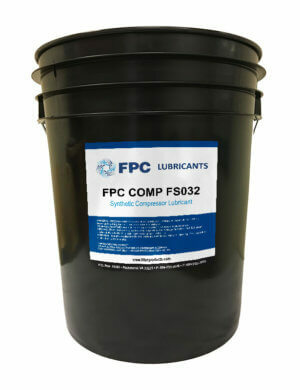 The plant ran the unit for several days with the FPC product mixed with the lubricant. After the compressor had run for several days, plant operators noticed that temperatures were starting to come down on the unit. The temperature gradient across the oil cooler had also greatly improved. When a service tech returned to service the compressor, he found that the oil cooler had undergone a surprising clean-up and that it was experiencing full flow operation. The oil was changed-out and converted to a varnish-resistant POE to prevent the problem in the future. Oil filter changes also took place, but the separator filters did not need changing. The unit returned to service and was running cooler than at any other recent time: 170°F with an 85°F ambient temperature. All involved were amazed at the degree of clean-up that took place with the FPC solvent.